Hometown: I grew up in Taipei, Taiwan and moved to Jericho, New York at the age of nine. Current City: I currently live in Jakarta, where I am wrapping up my work as the Monitoring & Evaluation Specialist for the USAID Higher Education Leadership and Management Project. This August, I will return to the U.S. to start my doctoral studies in Education at the University of Pennsylvania. Life After Fulbright: After completing my ETA grant, I was offered the opportunity to move to Yogyakarta to help launch a new U.S.-Indonesian higher education partnership between Vassar College (where I attended college), Universitas Gadjah Mada, and Universitas Sanata Dharma. 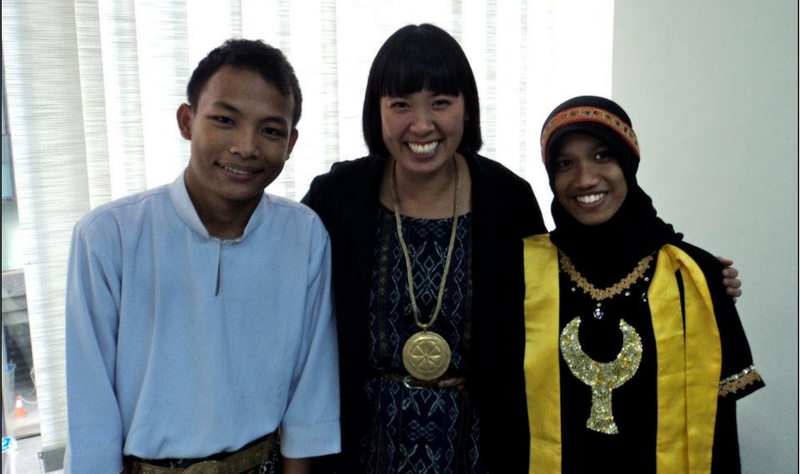 For one year, I taught undergraduate and graduate courses to students and faculty at the two Indonesian universities. Inspired by my teaching experiences in Kupang and Yogyakarta, I decided to pursue a career in education development and research. I obtained my master’s degree in this area back in the U.S., briefly worked on projects based in South Africa and the Philippines, and ultimately returned to Indonesia for my current position with the USAID Higher Education Leadership and Management Project. Our project works to strengthen the performance of Indonesian universities, polytechnics, and community colleges in the areas of leadership and administration, financial management, quality assurance, and external collaboration. This fall, I will return to the U.S. to start my doctoral studies in Education, within which Indonesia will remain a central part of my research and work. It is true that I have stayed to work in Indonesia as long as I have because it is a fascinating country for me to explore how changing structures of culture and society shape the educational priorities and goals of a nation and the development of its youth. But mostly I believe that living in Indonesia long-term has been sustainable for me because of the communities I have been able to build since the beginning of my time here. I love that the family I lived with during my ETA year reminds me to pulang kampung [return home] to Kupang every Christmas; that I can still call up friends at AMINEF for advice on navigating work challenges; and that I can rely on the group of Fulbright alumni I’ve become close with over the years to be there for spontaneously escapes out of Jakarta and bersemangat [motivational] Skype calls at odd hours of the night. These relationships form the foundation upon which I have been able to grow personally and professionally, and are what I cherish most about my Fulbright experience.